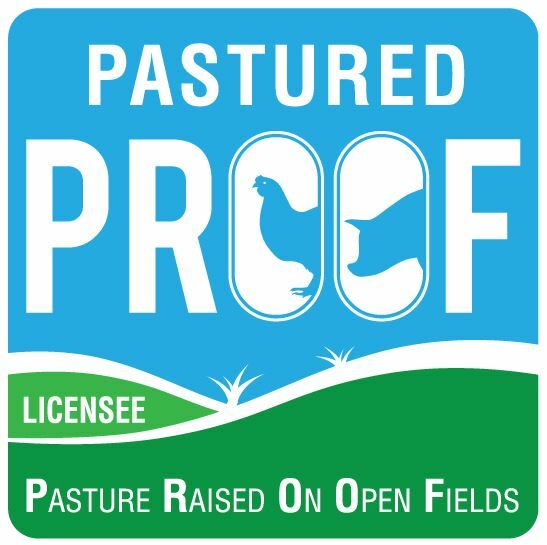 PROOF - Pasture Raised On Open Fields - What does PASTURED mean? The definition of Pastured is just that - pigs and chickens are raised outdoors on open fields. Pasture raised defines where the animals live and that they make use of the pastures provided for them. Pastured pork or pastured eggs are not 'grass fed', not in the truest sense of that term because pigs and chickens productive on grass alone. Pigs and chickens are omnivores and that means that like you and me, they need a varied diet that consists of a nutritionally balanced feed that includes fibre, energy and protein along with essential vitamins and minerals. Pigs and chickens actually have a lot in common as they are both omnivores and their ancestors were originally forest dwellers. We need to remember that is our farm management systems. 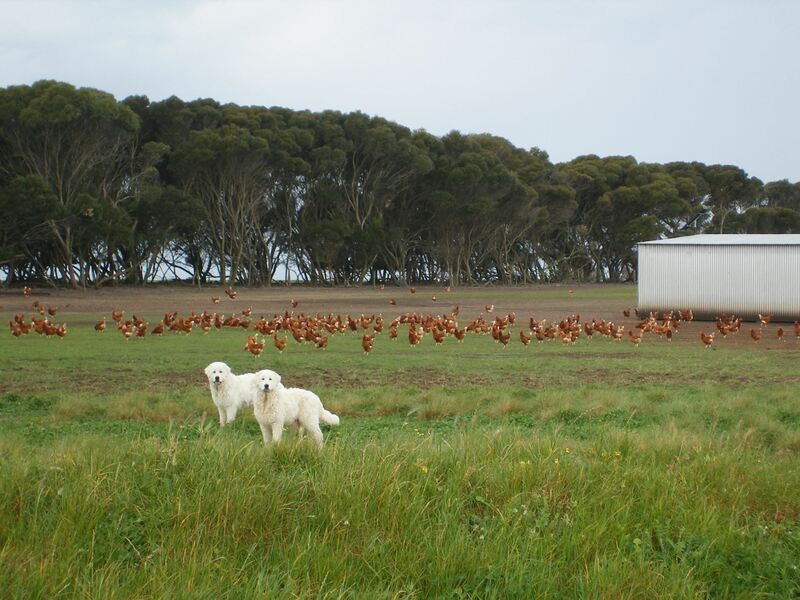 Pigs and chooks raised on pasture do eat a lot of grass and also get a lot of their nutritional needs from the soil but the main reason for calling them pastured is to best describe how they live their lives while on farm. Pastured farming means always having access to grazing, living in open paddocks with plenty of room, no feedlotting and no overcrowding and definitely no indoor confinement. This means lower stocking rates rather than confined animal production. When you stock 20,000 to 30,000 in a chicken shed that means that there is an awful lot of hens that will never see daylight. Of course it is not possible on a commercial farm for chickens to be born outdoors. 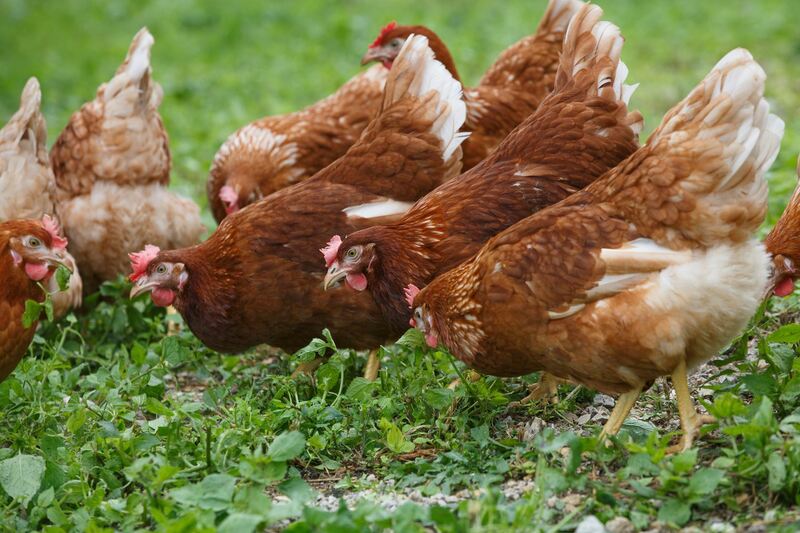 The majority of layer hens are sourced from hatcheries that supply a limited number of laying poultry breeds. We can however ensure that the young birds have access to the outdoors as soon as they are sufficiently feathered. Raising pigs on pasture also means that the sows live their entire lives outdoors and give birth outside while being provided protection from the elements and predators. There is generally no fixed sheds or buildings in a pastured free range system as housing and hutches are mobile so that they can easily be moved around the paddocks with the pigs and chickens. Pastured pork is produced in a farming system that ensures all pigs of all classes and ages are outdoors, not just the sows as is the practice in 'outdoor bred systems'. Watch out for producers using the descriptor "outdoor born and bred" as this only describes the breeder herd and does not include the porkers that go on to become pork.